The last couple of days have been filled with work, and while I sit in the office (or sit in a pub – you can’t go wrong when your office is situated between two of them!) 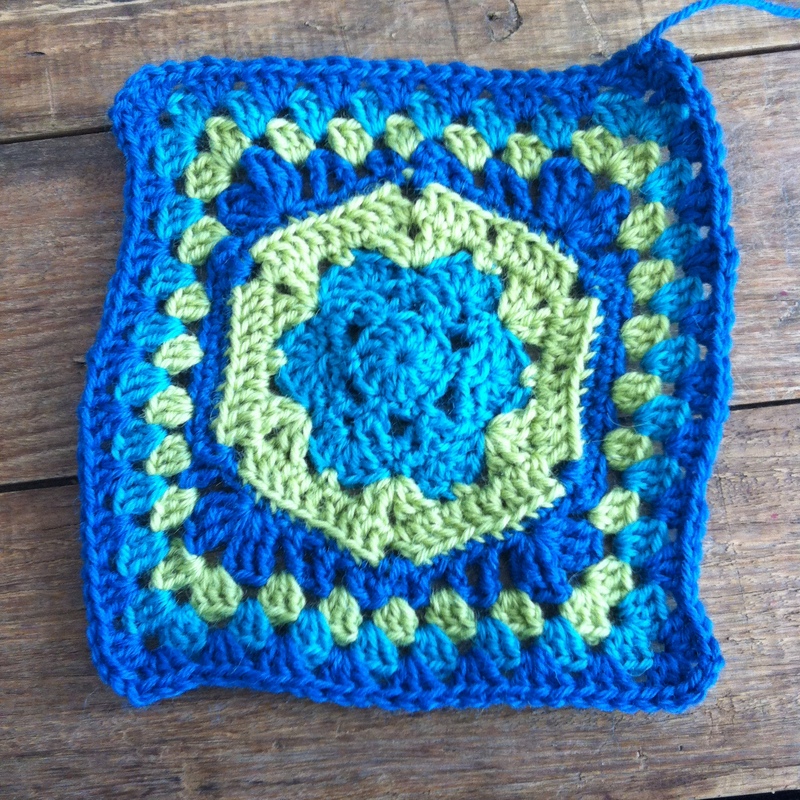 and plug away at documenting nature-based playspaces I’ve been thinking about crochet and Christmas. I skyped my mum last night and when she commented that Christmas was less than a month away, I got quite a shock. I’ve been so busy in my own little world that I didn’t even realise how close the end of the year it was getting. 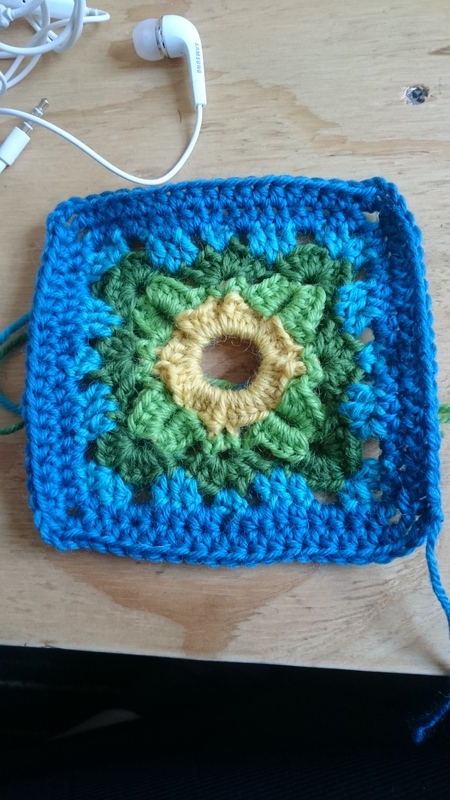 I wanted to get some cool little Christmas crochet projects done, but I already have too many works-in-progress at the moment that I can’t possibly start yet another without finishing something first. So! Mission Complete-A-Bloody-Project-Before-Christmas begins! 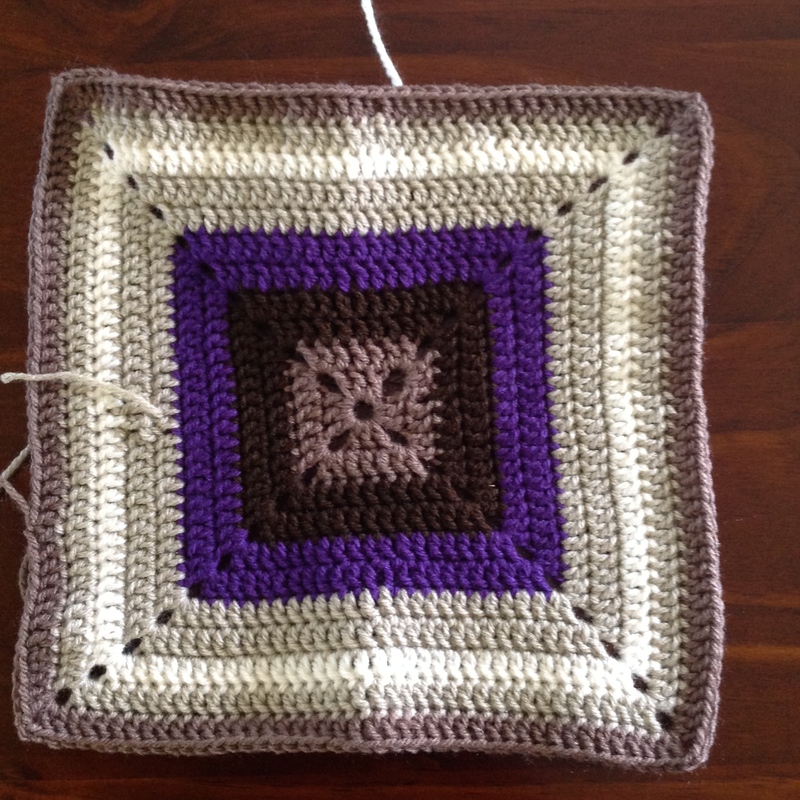 I am still rather enthusiastic about my granny square blanket project, so I’d like to finish that up before the end of December. 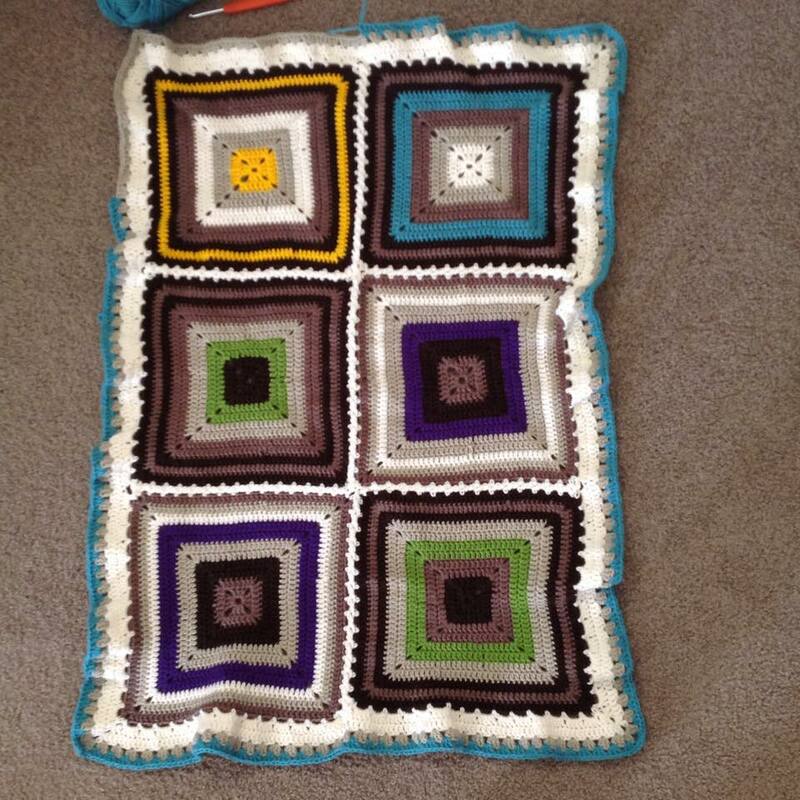 Below are some images of my latest squares, I think the colours are looking quite nice together (ie, one bright feature colour amongst the coffees/beiges). Please excuse the ends not being tucked in yet! 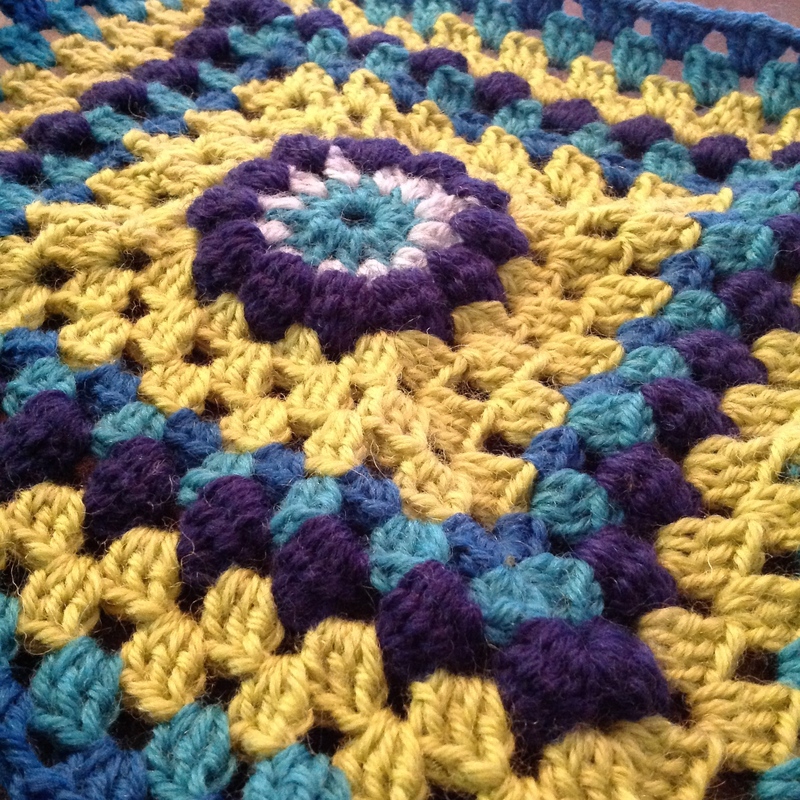 I started to fall behind in the crochet-along that I am doing, so I spent the majority of the weekend sitting on the couch and watching shows while I caught up. 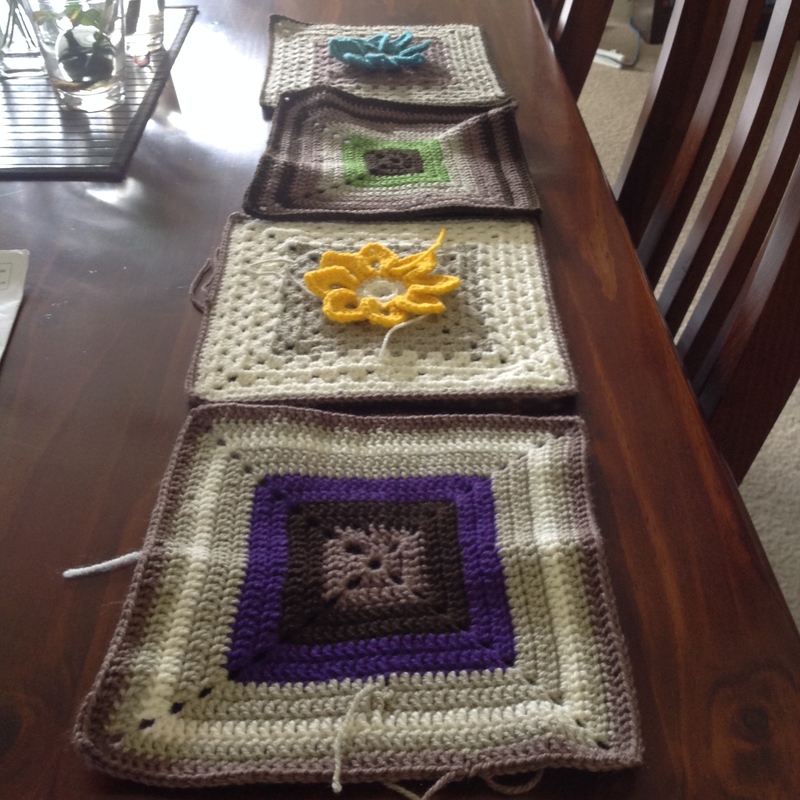 Below are the finished products so far. 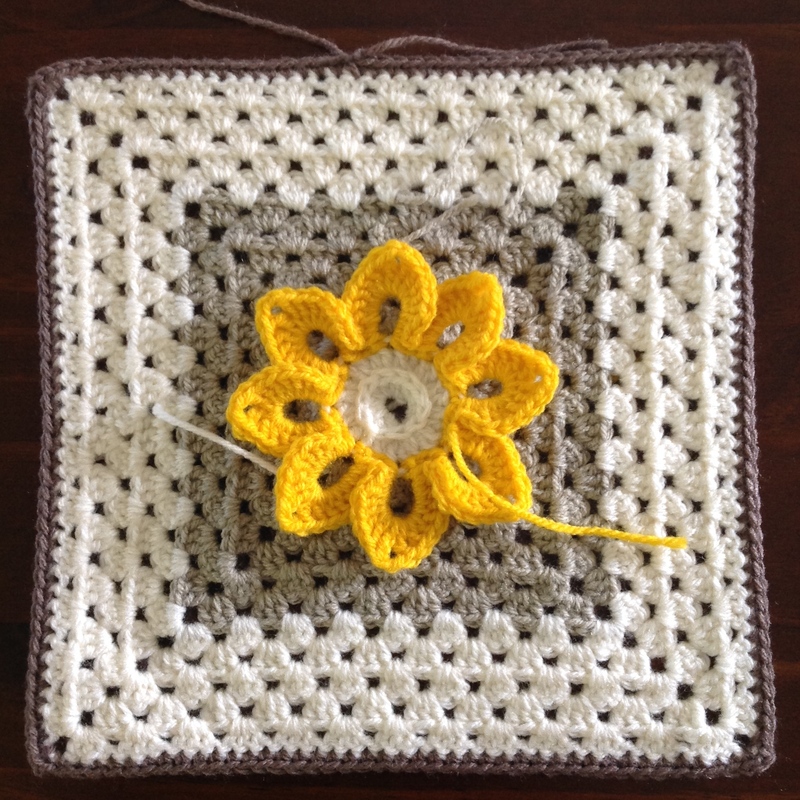 I recently decided to be a part of a Blog Hop Crochet Along and since it officially began on Monday I have almost finished the first afgan square and should be able to get going on the second square during my lunch break today (who eats at lunch anyway?!) 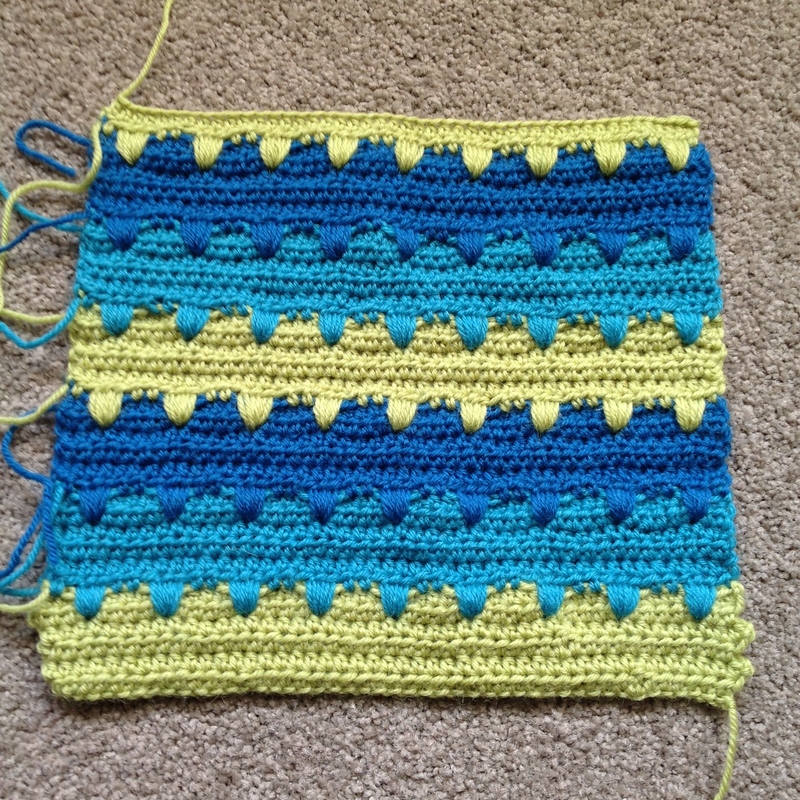 In the image below, my first square is still missing the last three rows of double crochet. 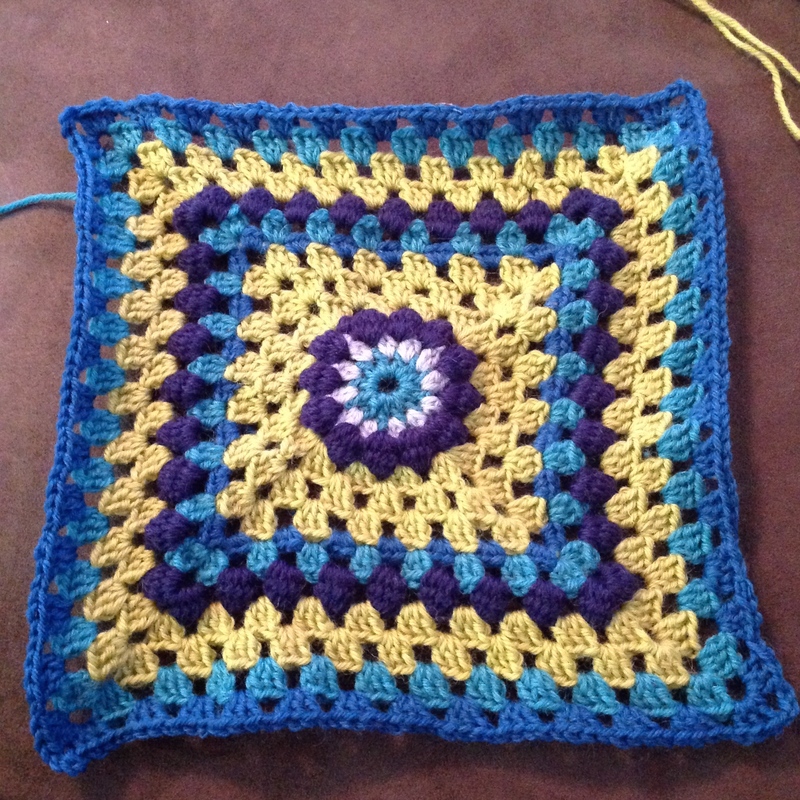 Although the intstructions suggested using worsted weight yarn (in other words, 10 ply in Australia) I’m using 8 ply 100% wool for this since 10 ply is so much harder to come by, and double the price. 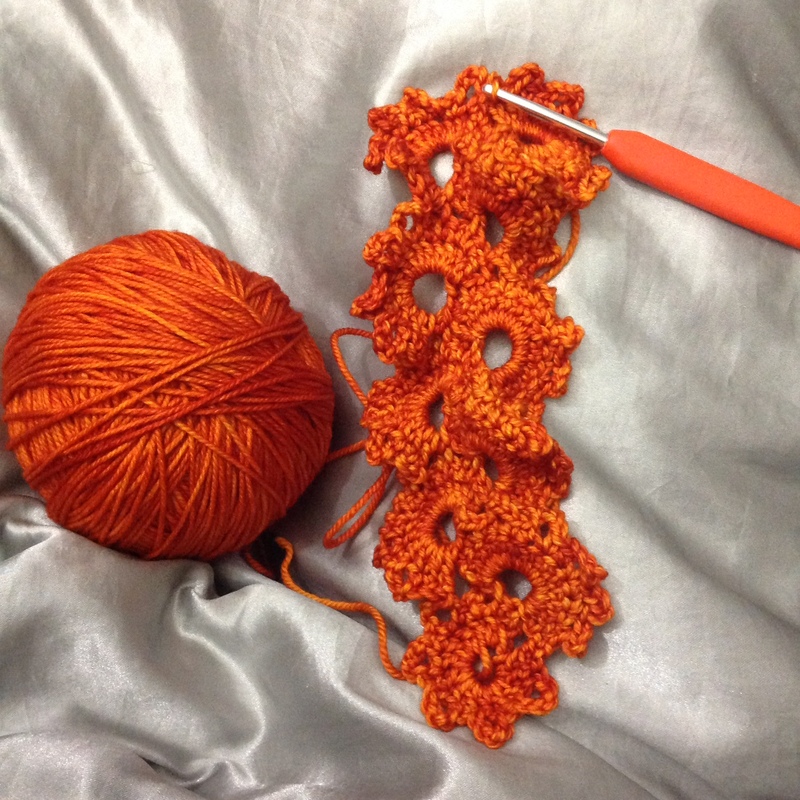 The next image is an earlier progress photo of my orange lace scarf. This was taken about ten days ago, and it’s about four feet long now. 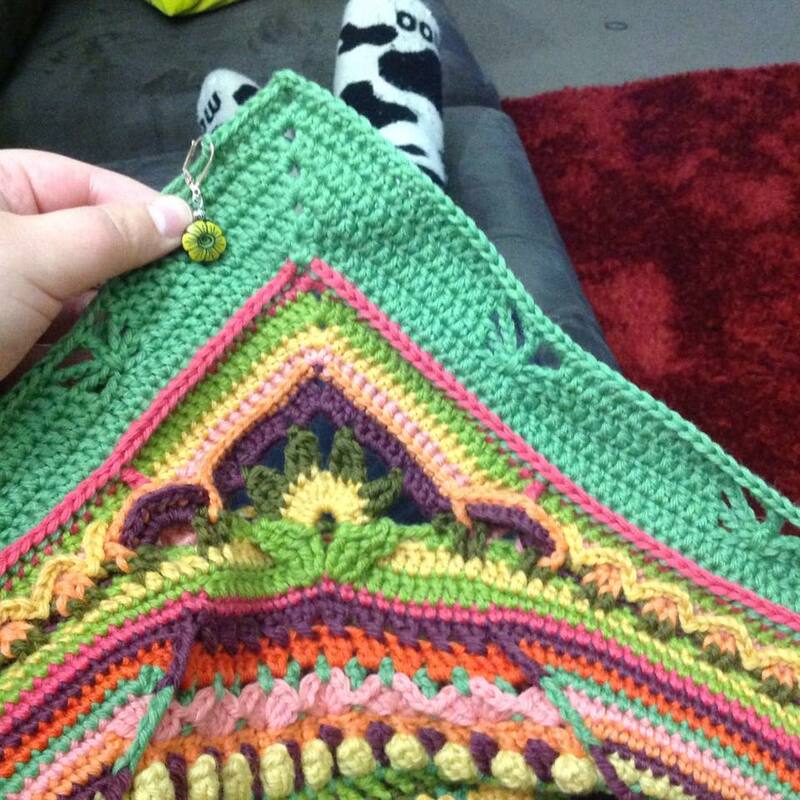 I’ll take another progress shot of it in the next couple of days – it’s looking great and I’m really happy with it. 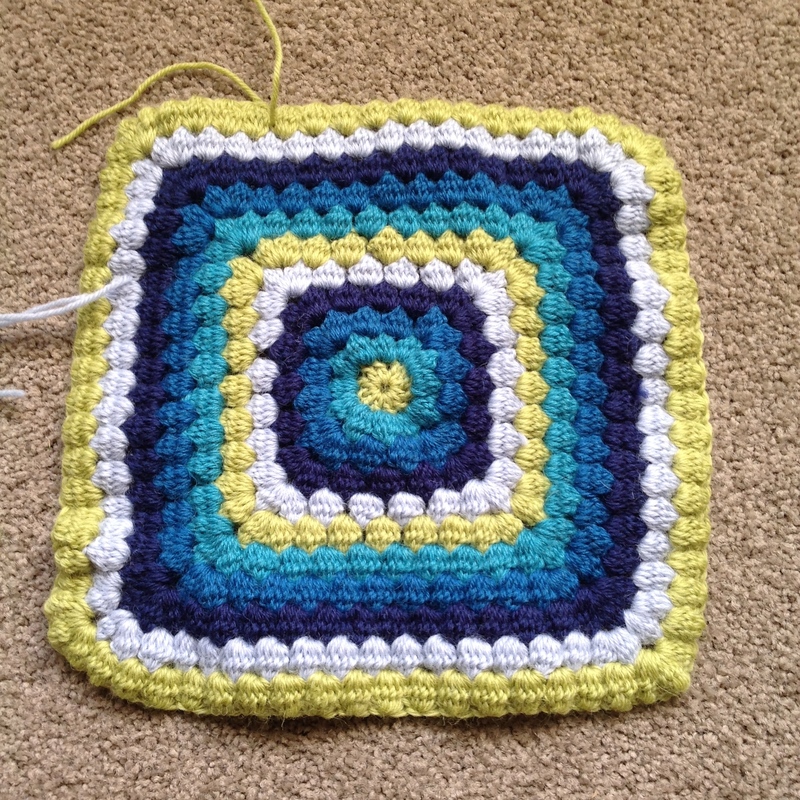 The yarn is AMAZING to work with, would definitely recommend! Every pay day I always like to buy a little bit of yarn, just to slowly increase my stash – and because I can’t seem to help myself when surrounded by all those yummy colours. 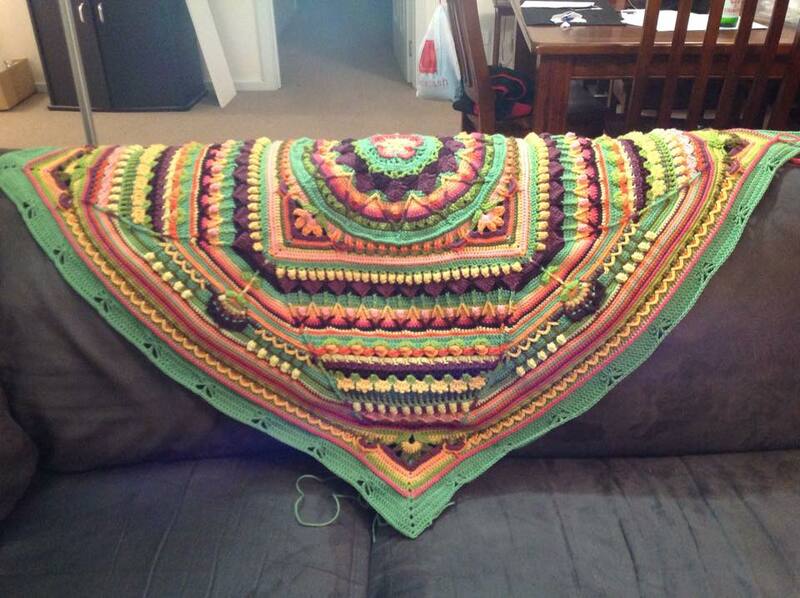 I mean, you can’t go into a yarn store and NOT come out with something?! 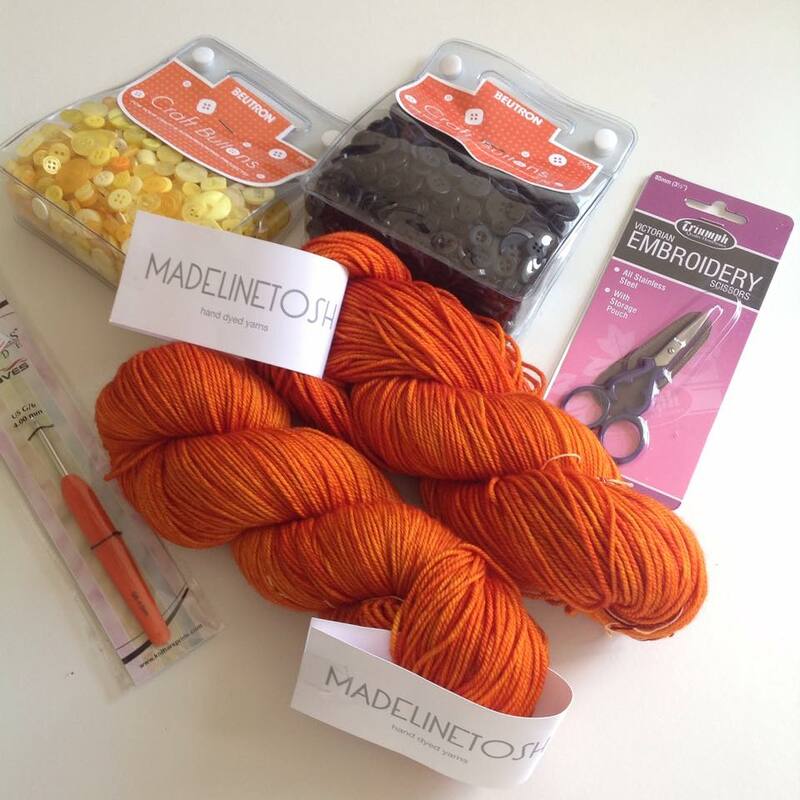 The gorgeous tangerine hues of my new Madeline Tosh hand dyed yarn is actually going to be made into something for myself – I seem to be always making things for others so it will be a nice change. 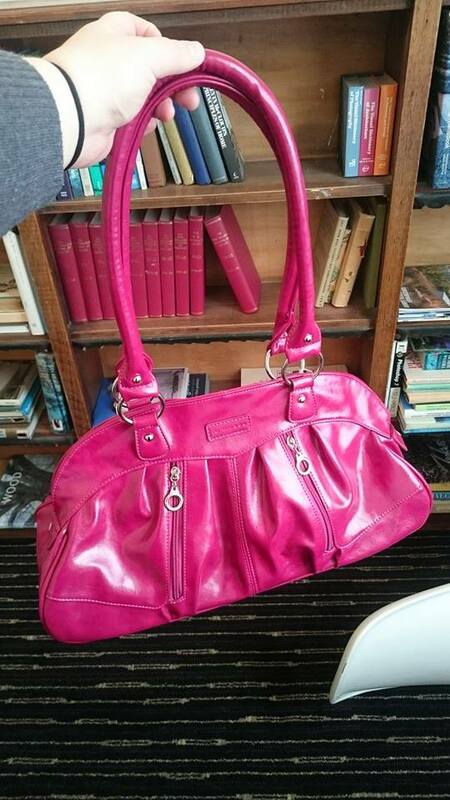 Orange is also my favourite colour – convenient!